Borough Taxi is a long established and professional private hire taxi company in Hillsborough near Lisburn in Northern Ireland We provide a full range of taxi hire services including airport transfers and long distance transport. Our services are mainly served in Lisburn and Hillsborough and distance is no object. 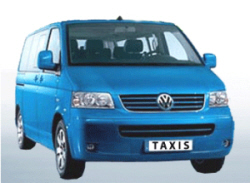 We continue to provide a reliable service with our custom built Volkswagen Caravelles. Our vehicles can carry up to eight passengers with a full complement of luggage.